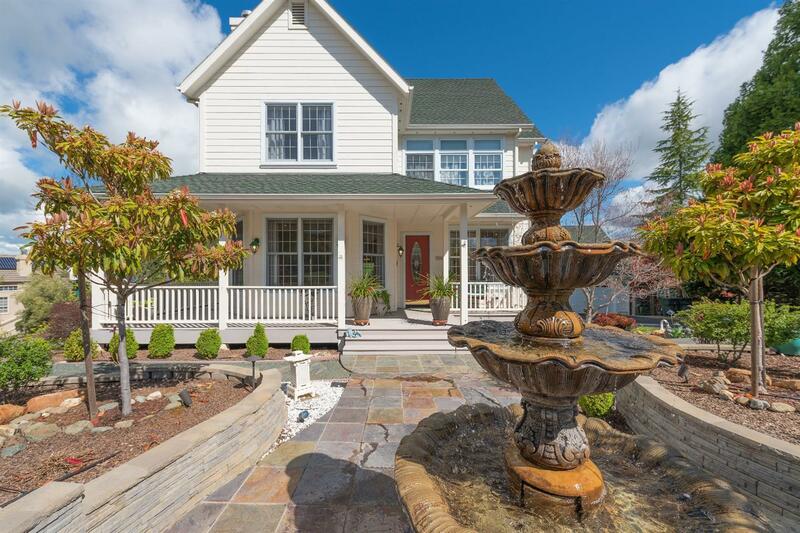 Beautiful home, located in one of area's most desired sub-divisions just a short trip to downtown Sutter Creek. Beautiful hardwood floors on first level.Bedroom downstairs presently used as office, sunny laundry room, efficient kitchen and family dining area. Living room with fireplace combined with formal dining.Great master suite with walk-in shower and separate jetted tub, bonus room thru garage presently used as sitting room with own heating/cooling unit and half bath. Wine refrigerator in kitchen, surround system with speakers in house as well as gazebo, awning on west deck is automatic.Lots of storage in garage. Landscaping is a garderner's paradise, lots of cosy conversation areas, rock pavings, beautiful flowers and for the vegetable and fruit grower a separate area for just that!Bonus room back of garage not counted in square footage in county records.